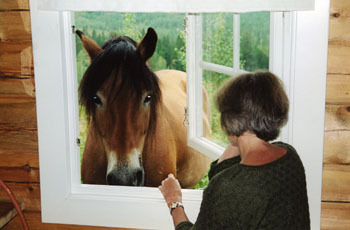 Ransbysätern has been used for over a thousand years as a “shieling,” a summer pasture in the forest for the local farm animals. Cows, goats, and horses graze here. Lodging. 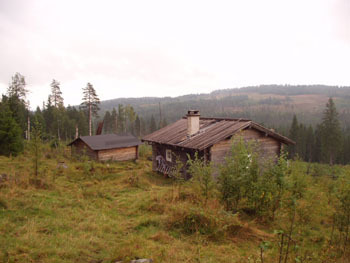 Three log cabins located at 450 m elevation. Each cabin has from 3 to 6 beds, a wood stove and a propane cooking stove. You can also cook your own food over an open fire. There is a root cellar for cold storage. Pillows and blankets are provided, but bring your own sheets, pillow cases and towels. You have to chop your own firewood and carry water from a well. There is an out-door shower and out-door privy. Cabin service. You do your own house keeping. Café. From Midsummer’s Day to August 15th the café serves simple lumber jack food, goat cheeses, coffee, and pastries. Things to see and do. Goats, cows and horses graze all over the shieling. 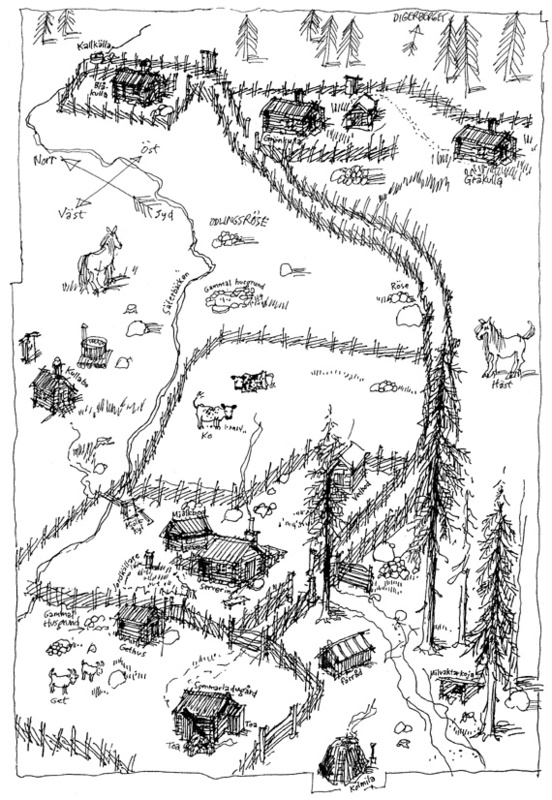 You can pick mushrooms and berries, and you might see a moose, bear or wolf. You can go fishing. There are hiking trails to explore. 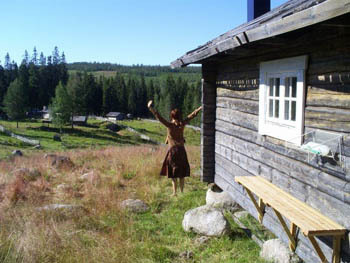 Ransbysäter is located in an area of Sweden with a great number of prehistoric remains. 10 km away you will find a municipal swimming pool as well as the museum Utmarksmuseet with the Pilgrim Tapestry, a Swedish equivalent to the Bayeux Tapestry. Conferences. Arrangements can be made for groups of varying sizes. How to find us. A 200 m walk from the parking area; a 7 km hike from the nearest bus stop. There are signs along road 62, which is located 3 kilometers south of Sysslebäck. 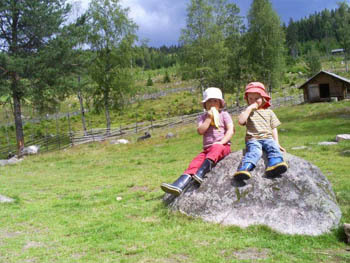 There is a 5 km hiking trail between the Ransbysäter shieling and Ransby. Non-members: an additional 50 SEK/adult and 25 SEK for children. Price for a whole cabin: Blåkulla with 3 beds: 585 SEK Grönkulla and Gråkulla with six beds: 780 SEK. For more information about Ransbysätern, click on this link.